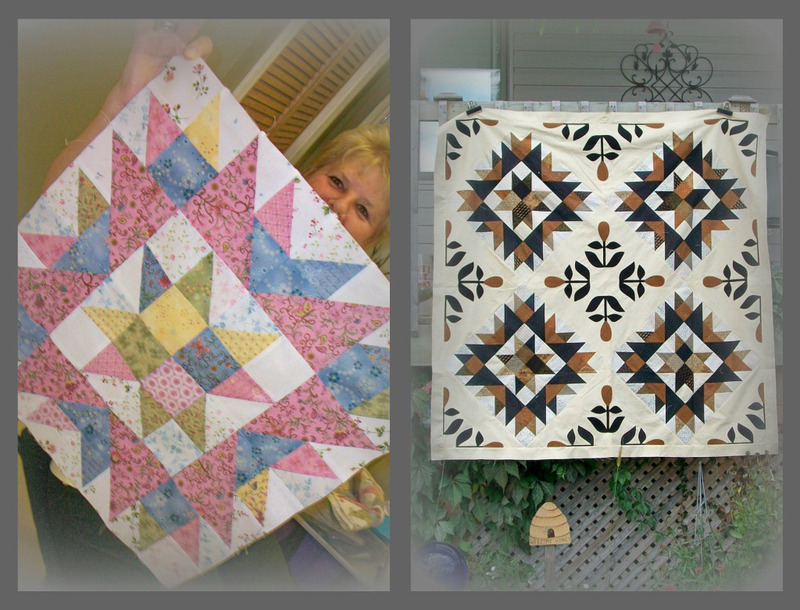 The mystery continues with the Mystery Quilt Club at Kindred Spirits Quilt Co. shop. Next month is the last class and all the clues will be revealed. The ladies in the class are slowly putting together their pieces and have "uncovered" the mystery of the center blocks which are placed on point and added to appliqued pieces. 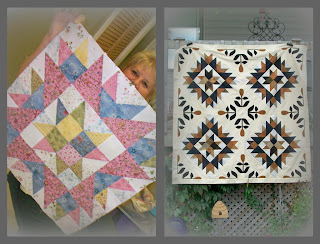 Carol in the picture shows off one of her center blocks...hers will look amazing when finished and will be perfect for a young lady. Next month we will have the final reveal and I'll make sure I show you how we have solved the mystery. Beautiful Leslie... Thanks for posting them so I can see the results!